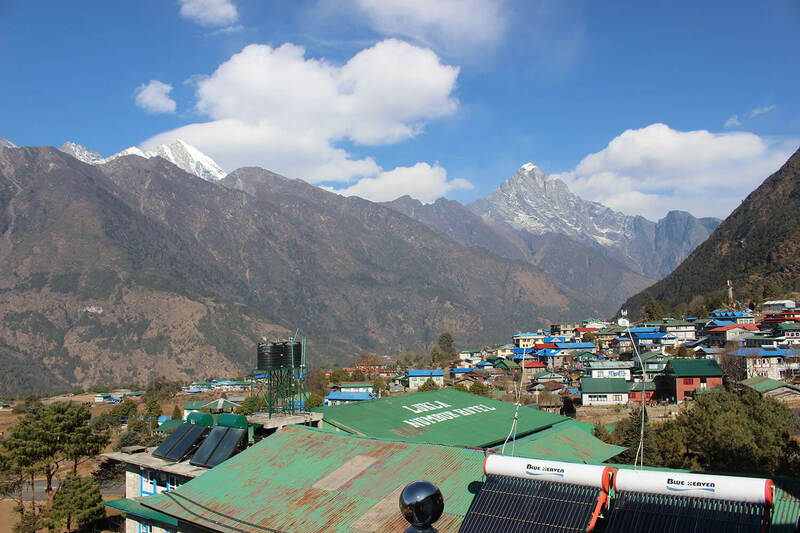 Scan the feedback section of travel sites: they are full of laments from frustrated trekkers stuck at Lukla’s Tenzing-Hillary Airport waiting days on end for flights out. After having descended from Mt Everest Base Camp after weeks on the trail, trekkers sprawl on their sleeping bags on the cold floor of the check-in area waiting for flights that are delayed either by congestion in Kathmandu, en route weather, wind or visibility in Lukla. Flying in the Nepal Himalaya has always been touch and go, and Lukla airfield with its inclined runway has earned a reputation for being the most challenging in the world. But airline managers and aviation experts say not all the delays can be blamed on weather — better air traffic management at Kathmandu would help. One recent morning, the frustration of passengers here in Lukla was understandable: the sky was cloudless and there was no wind, but there was no siren indicating that the first flight had taken off from Kathmandu. The reason was poor visibility in Kathmandu leading to congestion. A screen capture of flightradar.com on Wednesday morning rush hour showing international arrivals stacked up for landing. 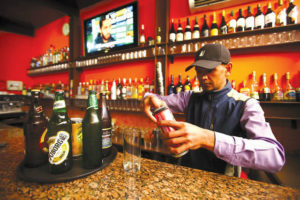 Congestion at Kathmandu airport sets off a chain reaction of delays. Kathmandu handles more than 400 flights a day on its single runway, but on smoggy winter mornings like this week, tiny Twin Otters are forced to circle alongside big international flights waiting to land. 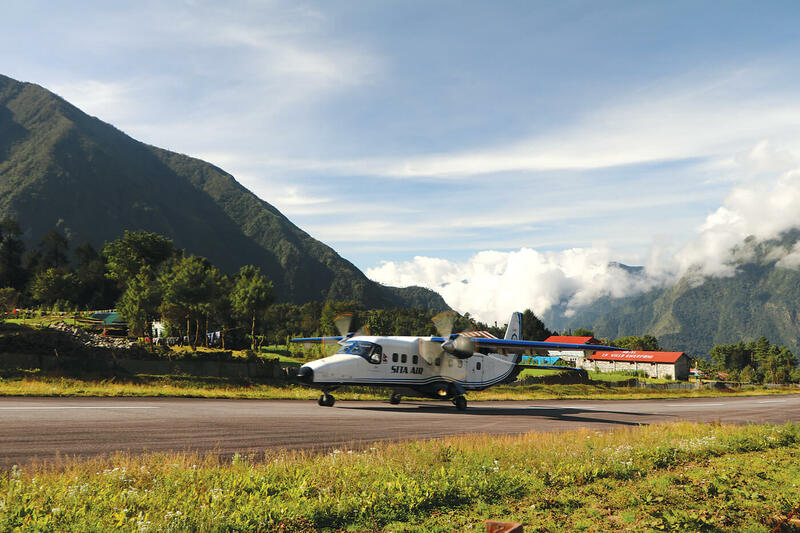 A 35 minute Kathmandu flight from Lukla can last 1.5 hours, reducing the number of Lukla ferries before the mid-morning tail wind closes the airfield. 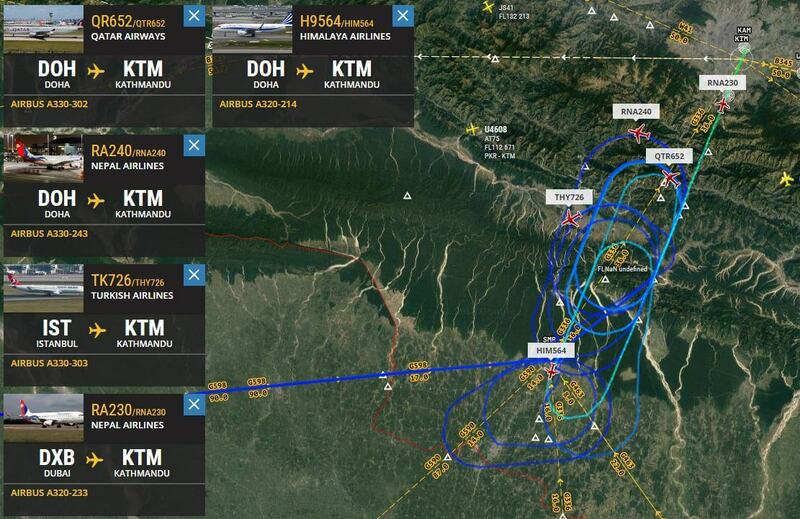 Aviation experts add that separation time for international flights at Kathmandu could be cut by half if the parallel taxiway is simply extended till the threshold at both ends of the runway. “They have been talking about it for 20 years, but have not done it even though you could remove half the congestion by extending the taxiways,” said an aviation insider. If you thought all this was bad, wait till next month when Kathmandu airport’s one and only runway will be resurfaced for the first time after it was built 35 years ago. Although this is going to be done in 80m sections, it means the airport will be closed from 10pm till 8am every day from April till June. 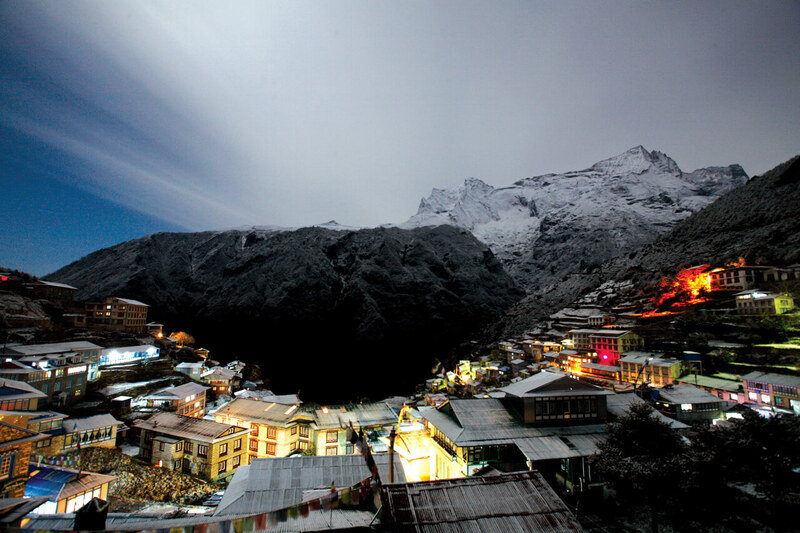 The window for Lukla flights will now be even narrower, that too at the height of the peak season. The three main airlines that operate Lukla flights, Tara Air, Summit Air, and Sita Airlines, will have no option but to use alternative airfields with road connections. Fed up with cancellations in November due to congestion in Kathmandu, Sita Airlines ferried out about 200 Lukla passengers via Ramechap, a four-hour drive from Kathmandu. Others flew passengers from Lukla by helicopter to Phaplu. “If the runway repairs are going to cause delays, we will have to revive this option,” says Rajendra Bahadur Singh of Sita Airlines. 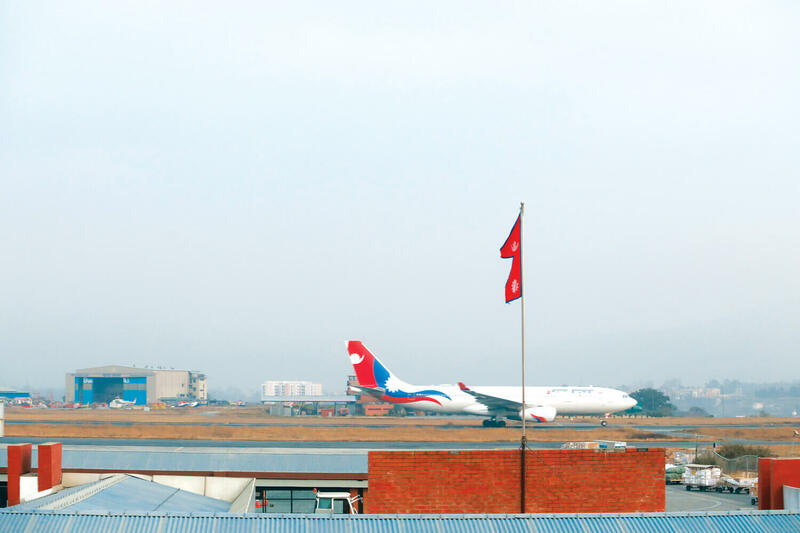 Aviation experts say ATCs could also increase the efficiency of Kathmandu airport without compromising safety by adjusting visibility thresholds for different types of aircraft like international heavies and STOLs. Domestic airlines servicing mountain airports with seasonal peak traffic cannot wait for Kathmandu airport to get its act together. The delays are costing them money, and they fear that runway repairs will make an already overcrowded Kathmandu airport even more chaotic. The sound of low-flying helicopters reverberate all day along the narrow Dudh Kosi gorge in the Sagarmatha National Park. There are as many as 50 chopper flights a day from Lukla to Everest Base Camp: for sightseeing, mountaineering rescue, or expedition cargo. Congestion has got so bad that it is affecting safety. Rotor downwash from a helicopter taking off in November caused the still rotating main blades of a Mountain Air AS350 Écureuil to hit its tail boom, causing serious damage, but luckily no injuries. 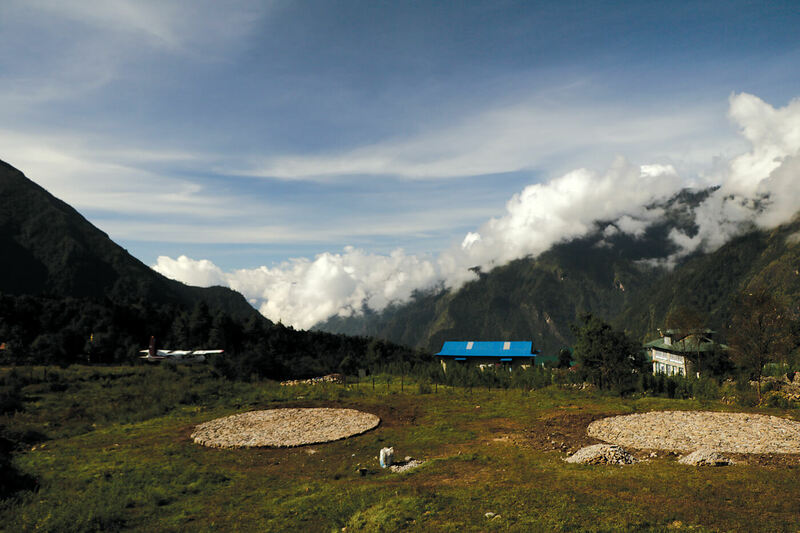 Since then, Lukla airport has added five new landing pads in its new heliport to accommodate the growing number of passengers who fly to Lukla on fixed wings and transfer to helicopters. There are now private helipads where chopper companies have to pay landing charges. As a chopper approaches, people scramble into position. The exchange happens in minutes: cargo comes off, people board, and the pilot takes off within seconds back to Lukla. But even locals are now complaining about the noise pollution from helicopters, fearing that it may affect trekking.